This week has been about preparing for holiday in a weeks time. As the weather hasn't great we have not been far. I have managed to get everything ready for Joseph to return to school. I have even got posts scheduled for whilst we are away. So all in all it has been a productive week. This was the only picture that I took on Monday. This was after a fun bath time with the twins. I did end up even wetter than this. They found it hilarious to throw cups of water at me, I was drenched! Tuesday was spent pottering about both inside and out. 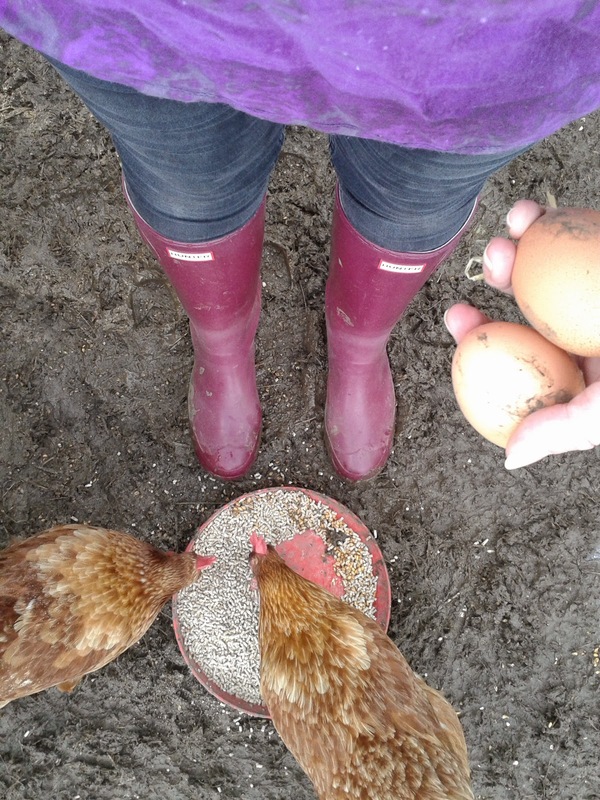 After all of the rain the wellies were certainly needed. I love it when the twins play nicely together. After taking Isabella's cot sides off last weekend we decided to take Taylor's off on Monday. They have both adapted to the change so well. Isabella got it cracked straight away. Taylor needed to be returned to bed just 6 times on the first night. This went down to 2 times the second night to just once the following night. They are both enjoying being able to sit on their beds to play or read. 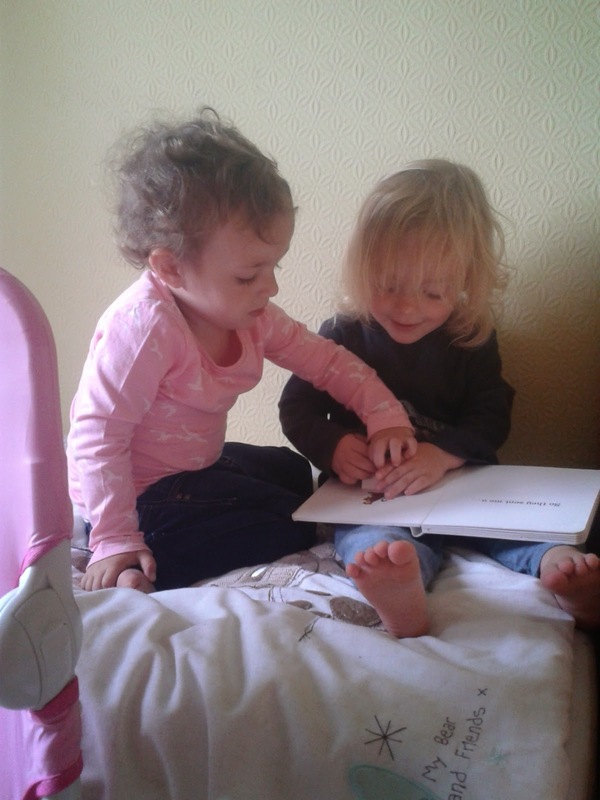 This picture was taken when they were sat together reading Dear Zoo. On Thursday I realised, at bed time, that I hadn't taken a simple picture! This gave me the perfect excuse to try some garden night time shots. I love how flowers and plants look different in the moon light. Thursday was a bit of a down day. The majority of the time I am feeling like myself again, my depression medication is certainly helping. However this week I have had a few down days. I think that this is because of an accumulation of things, missing my Nanna and Grandad (it is nearly a year since we lost Grandad), the school holidays as Joseph is now at the "I'm bored/can't be bothered" stage, I haven't been very well again and being so ready to get away for a break. It has been a hard few months and everything has taken it's toll on me. Thankfully as each day does by it all gets a bit easier and I am on the count down to holiday! This picture makes me smile! 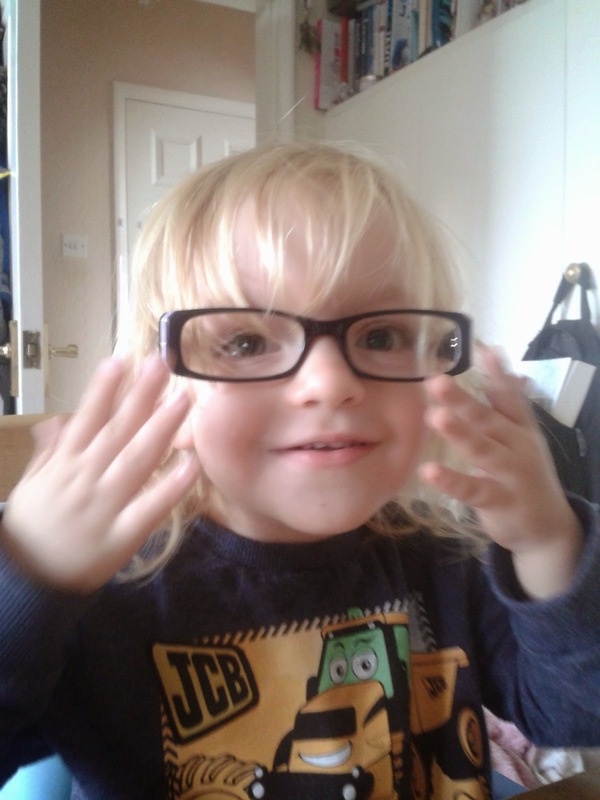 Taylor got hold of my glasses while I was out of the kitchen and when I returned I found him like this. Thankfully they stayed in one piece. Taylor also managed to get hold of my Kindle and thanks to one of the adverts he ordered some expensive cat food from Amazon! We only realised when the hubby checked his emails in the evening. So, now my Kindle has not only got a password to enter but hubby has also put on the parental locks! Saturday started off with some puzzle time. The twins have just started to take an interest in doing puzzles. Their concentration levels are getting better and along with that so has their patience. I have found that Taylor wants to do them more than Isabella and I have enjoyed some one to one time with him just doing puzzles. 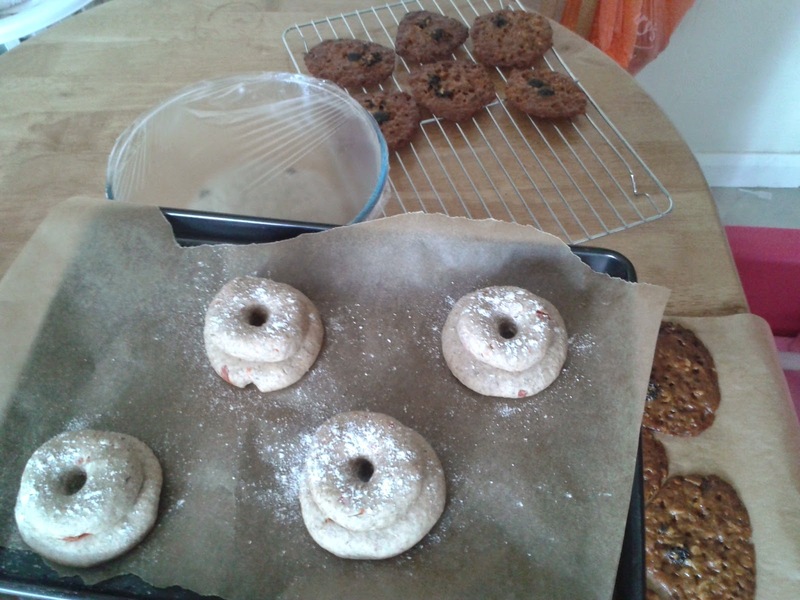 My morning has consisted of baking three different varieties of rye bread and making Florentines. It has been lovely having some quiet time in the kitchen. What a lovely week. Bathing twins is a dangerous sport, our bathroom always ends up getting a wash top to bottom when the twins get in there. oh dear at getting soggy, so far our twins not leant this trick. 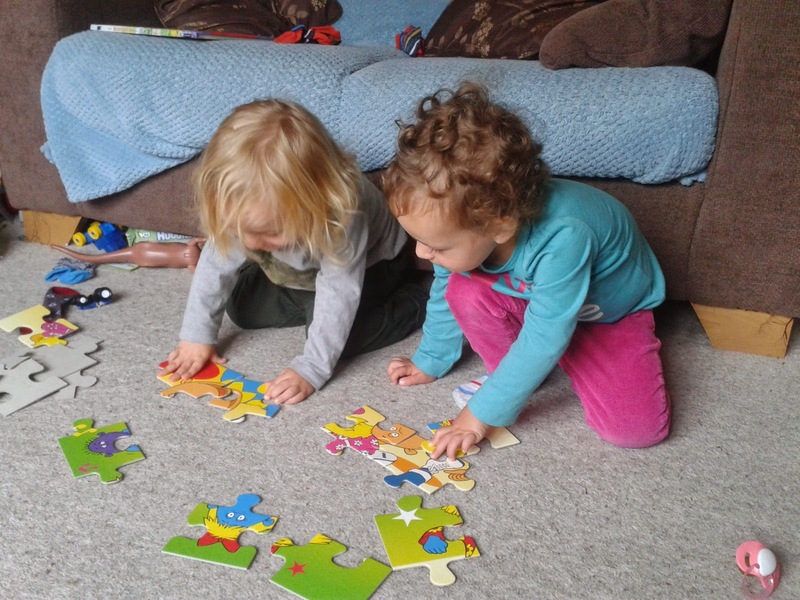 Its lovely to see them playing together nicely, the puzzles look like fun. It must be hard to get one on one time with them when they are both the same age/stage. Oh dear at the cat food, proves how easy some of these sites are with an account already linked on things like the kindle. I'm sorry aboout your grandparents, I don't have any of mine left and I miss (some of) them dearly. However, the pain changes and lessens over time; the memories don't but the pain does. Well done on the twins going into big beds, I was crafty and told The Boy that his alarm on the monitor would go off if he got out of bed; he never has!